Hundreds of Palestinian youth from Zimam held a public demonstration in Nablus, to thank all countries that voted against president Trump decision at the United Nations on the issue of Jerusalem. The youth want to support Palestinian rights, addition to demanding more actions of the international community, including an end to the Israeli occupation and the establishment of a Palestinian state on 1967 borders. Nablus Governor, General Akram Rajoub, attended the event with representatives of the Palestinian factions and civil society, who affirmed their commitment to the national Palestinian agenda and expressed gratefulness to all the countries that voted for full Palestinian membership at the United Nations. 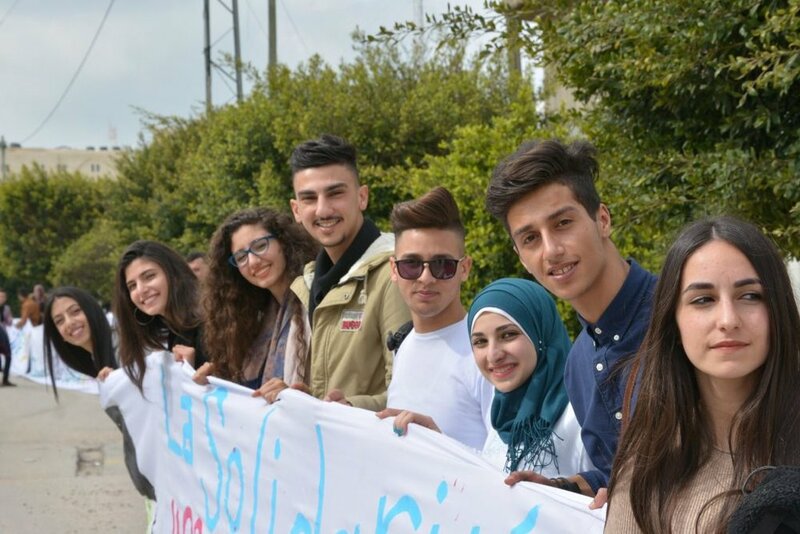 The youth raised a mural with slogans in different languages to all Arab and foreign countries that showed support for Palestine against the decision to move the US embassy to Jerusalem. Executive Director of Zimam, Abdallah Hamarsheh, said that this event is aimed at empowering and enhancing the role of Palestinian youth, in addition to conveying a message to the world that the Palestinian people are committed to a just peace and achieving their rights, especially after US president declared Jerusalem as the capital of Israel. The participants, who came from different Palestinian cities to attend the event stressed that they want to play a major role in decision-making and politics. They also stressed that popular non-violent activism is one of the most important tools to end the struggle of the Palestinian people. 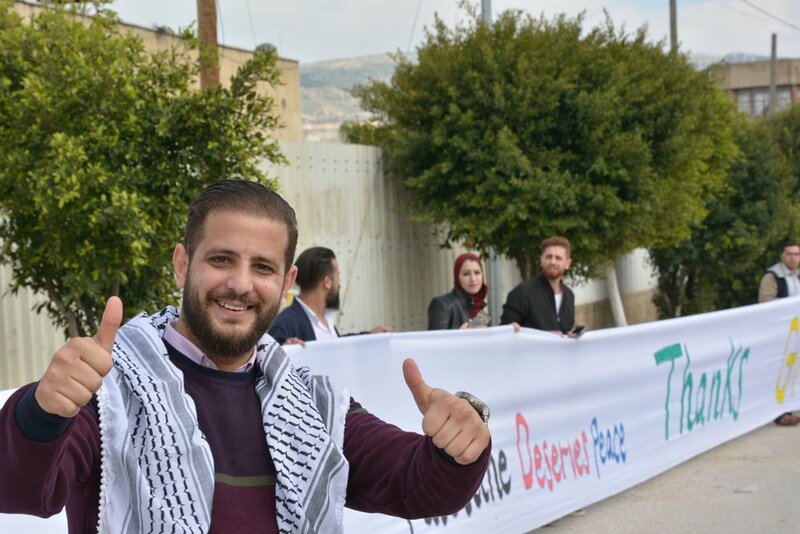 Zimam Director of communications, Wasim Almasri, said that the event aims to give the Palestinian youth a platform to express their concerns publicly and non-violently, for the Palestinian leadership to listen to their concerns and all other youth to follow their steps. The event received local and international coverage. Palestinian politicians praised the event and local newspaper mentioned Zimam critical role in bringing a young voice to decision-making in Palestine. Some Israeli websites wrote about the event as well and praised the courage of young activists who believe that the two-state solution still exists regardless of the status quo.